If you happen to be in Paris in the next few days and know your way around any of the places I’m listing below I would love to meet up with you! I have made myself a really tight schedule (and even bought tickets for specifically timed events!) so I kinda want to try to stick with it so I can see everything I want… even though I know it is highly unlikely to go exactly as planned! I bought the 4 day Paris Pass which included a Museum Pass, an Attraction Pass, and a Metro Pass and found a 10% off coupon so my total was 163E. I did the math and everything I want to go to at full price would be 195E and I got the pass for 163E (including shipping and a free guide book from them). So I managed to save 32E, saved time I would have spent in lines, and stress of carrying around euros for and buying tickets for all of those things. 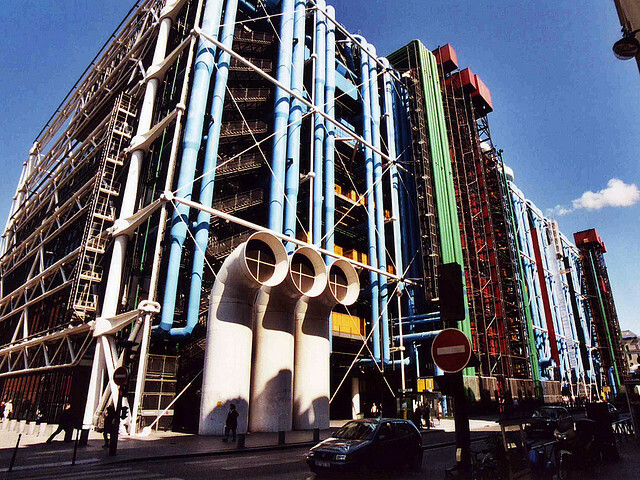 Use the hop on hop off bus tour ticket from Paris Pass. Morning: Follow Rick Steves’ “Historic Paris” walk, featuring Ile de la Cité, Notre-Dame, the Latin Quarter, and Sainte-Chapelle. Notre Dame Cathedral– climb up 400 winding steps to the top of one of the cathedral towers for an amazing view over the city! Sainte Chappelle – I have read so much about the gorgeous stained glass windows at this place that I have to see it for myself! Le Conciergerie– it’s next door to Sainte-Chappelle. This was where Marie Antoinette was imprisoned. It’s actually not a large place, but since I love architecture I just wanted to make sure and check it out. Worth a tour and some photos, and you won’t spend too much time here. Shakespeare and Company Bookstore (across the river from Notre Dame, open 10AM-11PM) – Great used bookstore made famous by Hemingway. Great place to find a book in English for the train. There is a water fountain outside of the bookstore which has free drinking water! Stop in at Fromagerie Laurent Dubois to pic up a variety of cheese for a picnic lunch. 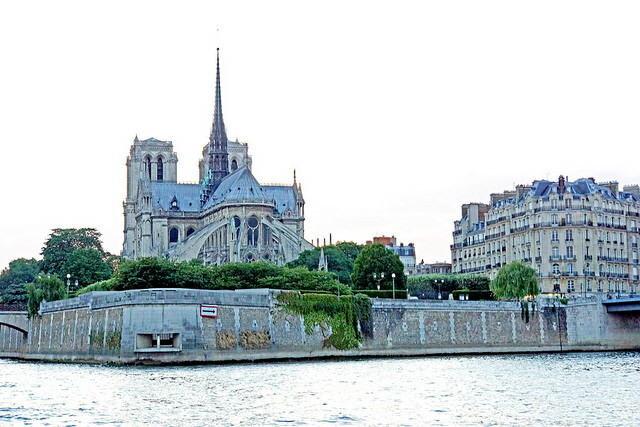 Bateaux Parisiens River Cruise– Take it while it is still daylight to capture great photos (or take it at night if this will be the only cruise you take). Dinner at Au Petit Sud Ouest (Make reservations a couple weeks in advance) Duck!! 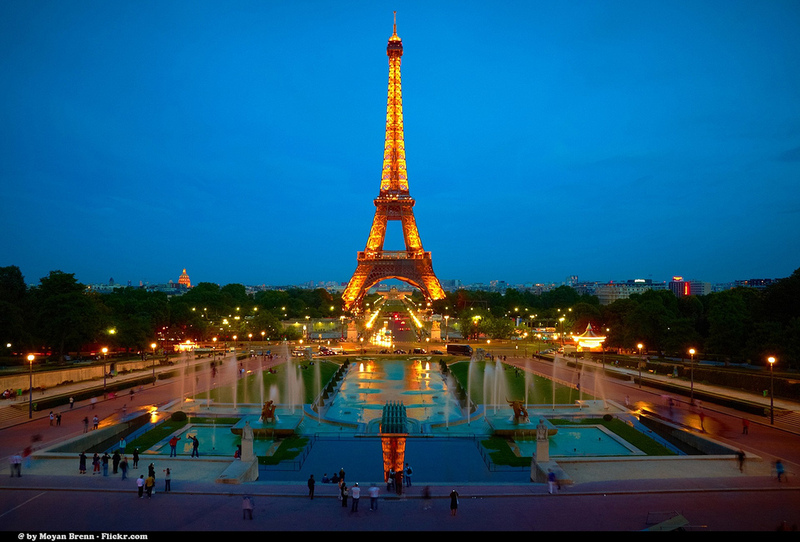 Evening: Eiffel Tower –bypass the lines by taking the stairs up to the second level instead of the elevator. 5Euro instead of 9 if you take the lift. Walk across bridge to Palais de Chaillot for great views of the tower. It lights up every hour on the hour from nightfall until 1am. 7AM Walk 18 minutes to Du Pain et des Idees (the most popular bakery in Paris on Tripadvisor) I wanted to go on my fourth day but it is closed on Saturday AND Sunday! I want to try their pain au chocolat and chocolate and pistachio escargot. 9AM Morning: Louvre Museum – (skip the line with Paris Pass) teeming with tourists, the world’s most famous museum was nonetheless a joy to explore, aided by Rick Steve’s self-guided tour of some of its most famous exhibits, including the Mona Lisa. Be sure to see the Egyptian exhibit. 3PM Wine Tasting at O Chateau (included with Paris Pass) Extra Cheese platter is 18E additional charge. Book online using your Paris Pass number to reserve your seat. Ice cream at Berthillon (recommended by Anthony Bourdain) located on Île St-Louis. 35 min train ride to Versailles. Open daily except Mondays. 9AM-6:30PM April-October. €25. People suggest buying return tickets before exiting the station in order to avoid the long queue of tourists going back to Paris after your visit. Just do a self guided tour. Morning: From Paris take the RER C5 line, direction Versailles Rive Gauche (train called VICK), get off at Versailles Rive Gauche Be careful not to get off at Viroflay Rive Gauche! The name looks somewhat the same, but it is not the right station! 5 min walk from the station to the palace. Versailles – Tour the Château and the gardens to compare royal opulence and countryside charm. Spend at least half a day exploring the palace grounds, Marie Antoinette’s Hamlet, her personal homage to simple country living. Tour the chateau first and then have a picnic lunch in the gardens. Follow the Rick Steves’ Montmartre walk. 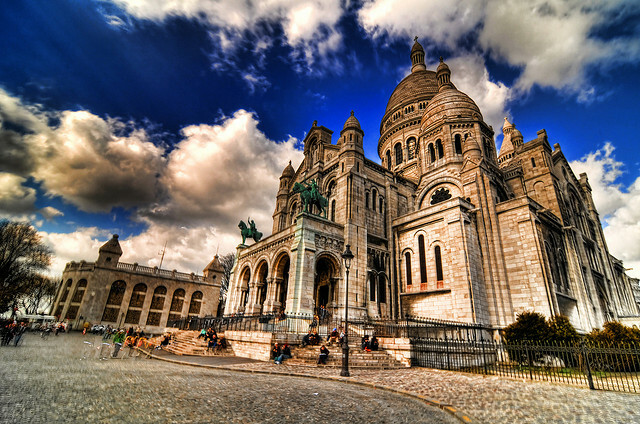 Sacré Coeur — A church perched on top of the highest point in Paris. Behind the church is the artists’ area, in front are spectacular views of the whole city. Métro Anvers (2) or Abbesses (12), then climb the stairs on Rue Foyatier or take the funicular to the top of the hill. Day 4- Sunday June 21- Misc. 8AM- Patisserie Stohrer– Many people say this is the oldest bakery in town. People all rave about the various eclairs here. Creperie Bretonne– near the Montparnasse Tower and has fabulous crepes. I want to try the salted caramel and ice cream one (the Salidou vanille)! Rodin Museum. Have a coffee in the café and journal for a bit. Arc de Triomphe— The Arc de Triomphe exudes grandeur and offers a central view of the city Métro/RER Charles de Gaulle-Etoile . 12 streets surround this amazing arch. To get to Arc de Triomphe, you have to use the underground path (not aboveground as there are too many intersections and cars crossing. Also, keep in mind that there are no elevators to go up and down Arc de Troiomphe, so you have to walk up and down 280 steps! 7PM Dinner at L’Ange 20 Restaurant (must make reservations at this tiny place via email)- Make a reservation because it is a TINY bistro. Try the goat cheese salad, veal, and crem brulee. Seine River cruise at night 10E if you buy online. I’m actually living abroad in Paris right now! You are so lucky! I have one more day here and I can’t wait to come back! I was sometimes shocked at how much I managed to squeeze in! Have a great trip!